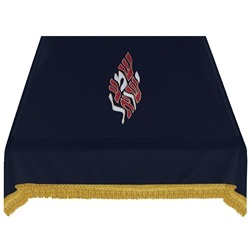 This bima/table cover is available in any color base of your choice. It can be ordered in any size. The cost will depend upon your specifications. The cover is made from high grade velvet and lined with a durable satin lining.